Ho, ho, ho, children! Here come another batch of issues from Bryan Hitch, Neil Edwards, and Daniel Henriques, brought to you in late-November, early-December, 2016, care of DC Comics, intended to entertain, educate, and inform. Or at the very least, smash stuff. Thumbs up! Cheesy grin! TO QUOTE HAL-9000: "Look Dave, I can see you're really upset about this. I honestly think you ought to sit down calmly, take a stress pill, and think things over." Well now, last month I wasn’t completely wrong with my whodunnit theory. No pre-teen support crew, though. But Lily Palmer is shaping up to be an excellent junior hero in her own right. And, yeah, apparently no relevance to Ray Palmer or The Phantom either! Ah well, maybe I'll do better next time around. 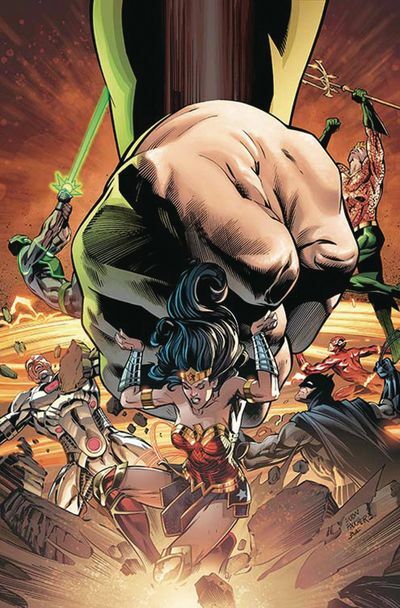 Now I do realize that you won't get the chance to read this until 2017, but the Justice League focus for the closing weeks of 2016 was presumably supposed to be focused on building up to the Justice League vs Suicide Squad crossover event. 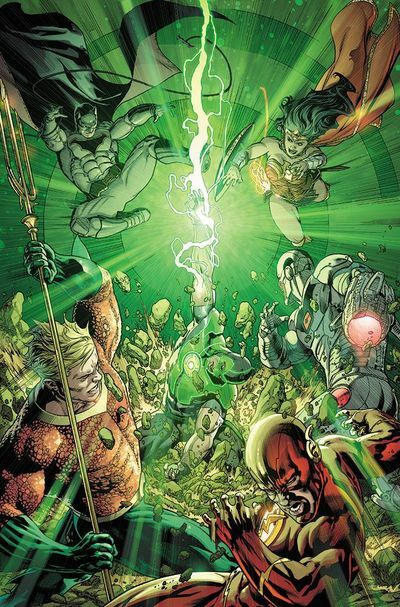 Yet with the story of Hitch’s Justice League finally on an upswing over the past few issues, there’s plenty of solid JL meat for fans to sink their teeth into as we await the one-shots that kick off the new JLA series. It’s not all sunshine and roses, but the overall trend is veering towards the good. Alfred still looks like Tim Curry’s Rooster, and little Bobby Palmer periodically has his hands melt into his head, but that said, Edwards and Henriques’ art is, for the most part, the bold, bright, fun style that I expect from a Justice League series. Sadly, their art is at its best when there’s no action on the page. There’s an uncomfortable number of faces that look like the heroes really need to take a bathroom break, or limbs that are having a slow seizure, and sometimes faces just seem to be melting, but that’s more than made up for with the slower moments. They masterfully render the side glances, the sheepish guilt, the fear, the panic, the posturing. There are some dubious layout issues (that I’ll touch on later), but for the most part, everything flows smoothly. The pseudo-science hacking speak is a little better than in prior issues -- totally within reasonable norms for a world where Cyborg does what Cyborg does. Story-wise, we’ve got a mixed bag. Issue 9 was a fairly chaotic mess of a fight sequence with too many characters in it. To a degree, that’s the cost of a Justice League book. There are some great moments, including a great detail of comic book science rules as they apply to Barry Allen. Both unconscious Simon and Barry’s proposed solution to his hacked ring have got to qualify as some of my favorite Justice League details of recent memory. And yet overall, it’s still just a big fight. So much page time is given to very ‘meh’ fight dynamics that the actual resolutions with both Victor and Simon are compressed down in to a single frame with a couple of frames of dialog post-script -- it makes one feel like you missed a page. This issue would have been much more powerful if those two moments were given more splash and focus instead of getting lost in the mess of a fight layout. Best of all, we get the return of a whole busload of characters that have had minimal, if any, appearances since Flashpoint, smashed back in to continuity in all their ludicrous glory. Yes, that likely comes with another impending series of chaotic fights interrupting the story, but now that we’re in the guts of it, it’s a trade-off I’m willing to tolerate. Oh yeah, this is one of those issues. The prior kerfuffle has passed, the heroes track down the most likely suspect, and after some friendly coffee conversation we’ve got ourselves an explanation of all that has occurred thus far. While the thought should have occurred to just about any member of the League, the narrative honor of forethought always goes to Batman, whose gloves are, of course, touchscreen sensitive (He can also apparently read hexadecimal, as established previously). And of course they aren’t out of the woods yet. Our intrepid heroes and civilian bystanders quickly learn that, well, as Argy Bargy once told us, There’s Gonna Be a Riot. 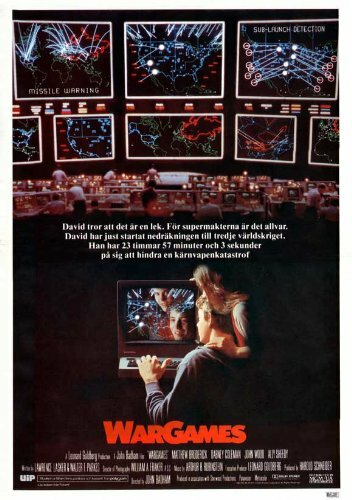 Maybe it’s a bit too obvious a comparison, but despite the technology having progressed from war dialing a military computer to an iPad running a wishmaker app, the revelations at the core of this story simply must be compared to the film, War Games. Swap out David Lightman and Joshua for Bobby Palmer and Genie, fast forward 33 years, and insert some superheroes in to the situation, and you’ve got the same story. Give or take a killer learning android. Well, we didn’t get to see any of Hephasteus’ weapons, the Atlantean military fleet, the Speed Force, or Fortress of Solitude get hacked (again), but, to be honest, if we had I’d probably be complaining about the story dragging on, right? But our mysterious hacking entity is no longer mysterious, we’ve got an awesome new character introduced in to the DCU (and her good-for-nothing brother and father), and, well, all hell is coming in on the Justice League. 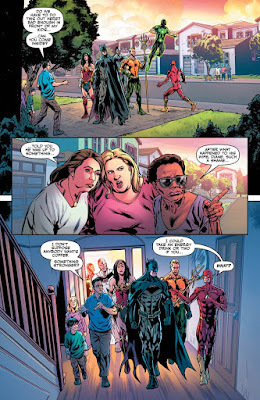 Frankly, it’s a fun twist on the classic what-if scenario, and a great opportunity for the still relatively inexperienced post-Flashpoint Justice League. Time will tell whether we’ll ever get any interesting individual story threads out of the gamut of villains, but for the time being it’s a nice rubber-meets-the-road test for the League. I’m just hoping Lily gets along well with Emiko and Tiffany. That’d be a team to be reckoned with.